Get all the fresh ingredients for this recipe from your local Romeo’s. As soon as the rice is perfectly cooked, strain it and run under cold water to stop the cooking process. Set aside and leave the rice to drain for two hours. Once drained, tip rice into a large dish and add cheese and parsley. Mix through. Add the eggs and mix through. Place enough breadcrumbs in a plastic container to create a thick layer. Roll the rice mixture into meatball-sized balls and then roll directly in breadcrumbs, making the balls into more of an egg shape. Repeat, adding more breadcrumbs as needed. Add the cooking oil to a non-stick deep saucepan and heat on high. It’s the correct temperature when it sizzles when one of the balls is dropped into it. Cook in batches, turning every 50–60 seconds. You will know they are ready when they rise to the top and are golden brown. 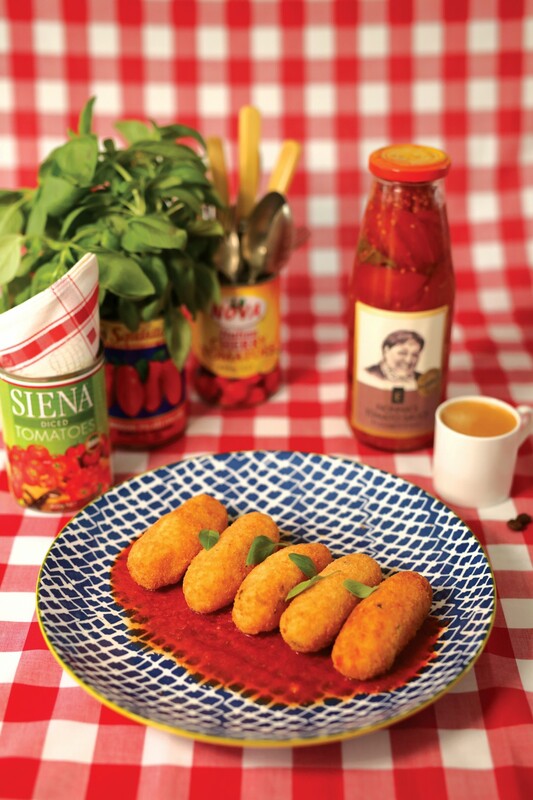 Serve with sugo as a dipping sauce. 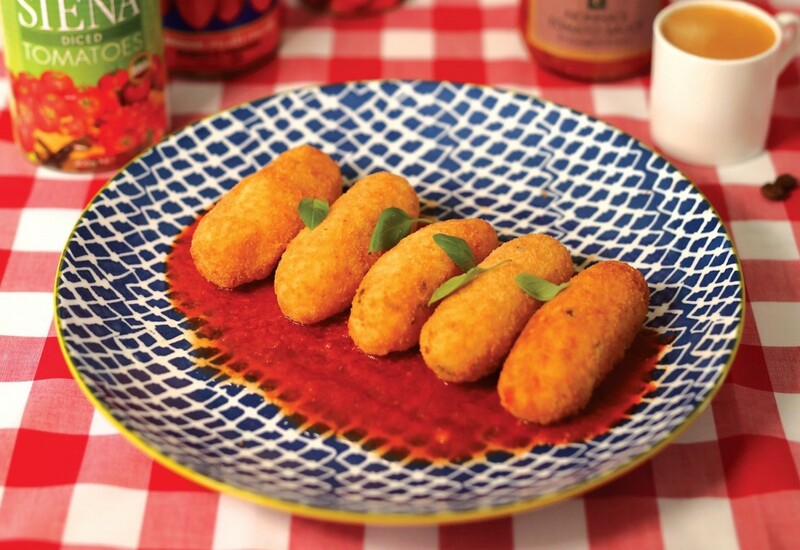 :: Form a small ball and then put either an olive or a small piece of bocconcini inside. :: Use this mixture as a base to make arancini (a slightly larger ball, with different ingredients such as mushrooms throughout). :: Spread half the mixture into a baking dish, and flatten out. Lay some ham, prosciutto and provolone over the mixture, and then cover with the remaining mixture. Bake until golden and then serve in square slices. Outrageously creative Food Content Creator, she's the ultimate cook, photo stylist and recipe creator - yum! Next PostFrom FOUL green to ultra cool - MY bathroom revamp!